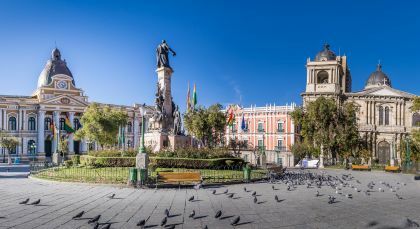 From enchanting UNESCO World Heritage sites to rolling sierras and fascinating insights into vibrant cultures – this Bolivia tour offers it all! Explore the best known sights and sounds on a private tour spanning the country. 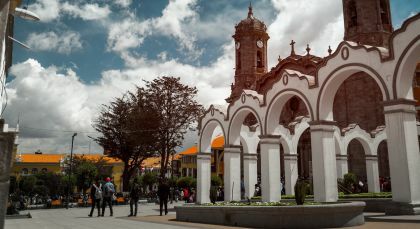 As its un-official capital, Santa Cruz de la Sierra is home to the wealthiest society and most modern facilities in Bolivia. 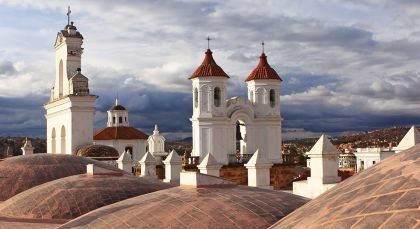 Situated amongst the rolling sierras of the eastern altiplano is Sucre, Bolivia’s prettiest and most charming city and historical capital. Lying in the shadow of Cerro de Potosí (other wise known as Cerro Rico) the town of Potosi owes it’s existence to this ‘Rich mountain’ which has provided the towns wealth since its foundation in 1546 as a mining town. 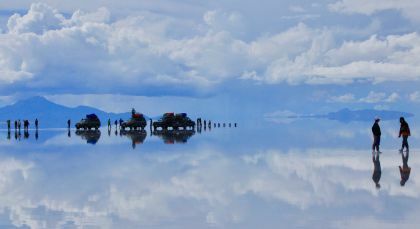 Surely one of the most ghostly towns you are ever likely to visit, Uyuni’s primary reason for existence is to serve as the gateway to the world’ s largest and truly impressive salt flats – the Salar de Uyuni. As remote a setting imaginable, Ojo de Perdiz is located right in the middle of the desert Siloli which forms part of the extensive Atacama Desert considered the driest in the world. 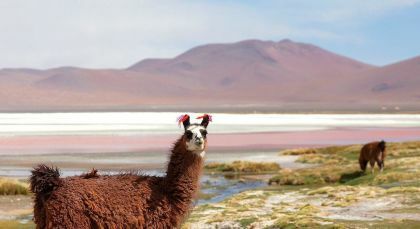 Leaving Uyuni in the morning venture out to explore the remote and beautiful desert on your way to Ojo de Perdiz. Along the way you will see many spectacular sights and natural attractions; although, the order and the route may be changed slightly due to conditions of the desert and the weather. 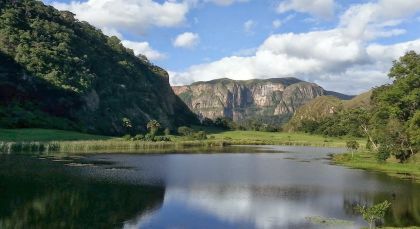 You will pass through the small local communities of San Cristobal and Alota and then explore the Rock Valley famous for its unique rock formations. View the impressive Ollague Volcano and travel through the Siloli Desert, known as the ‘Salvador Dali’ desert for its stunning colors and morphing forms. In the late afternoon arrive at Ojo de Perdiz. (08:30 to 17:00, approximant timings. Private Activity, Lunch Included). 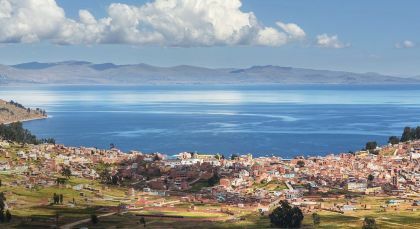 Set into a canyon and surrounded by snow capped peaks, Bolivia’s de facto capital La Paz, makes quite the impression with its cultural cauldron of tradition. Located on the shores of Lake Titicaca, the highest navigable lake in the world, Copacabana is the jumping off point to discover the sacred Incan island of the Isla del Sol, whilst the town itself is known for its traditional festivals and processions that take place throughout the year starting from its famous 16th Century shrine – the Basilica of Our Lady of Copacabana.